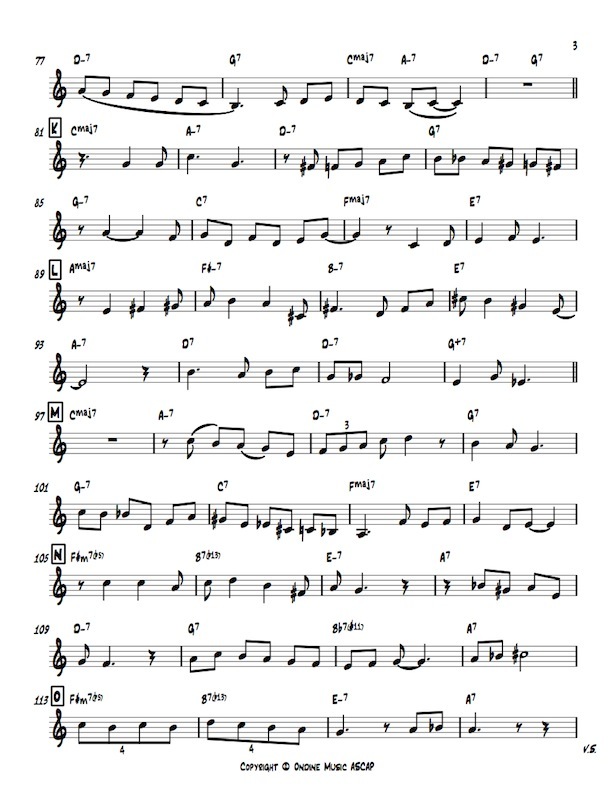 Learn by Doing: Ten Duets for Two Basses (and other instruments) Expand your technique, reading, soloing, groove and bass line construction. Each duet contains 6 recorded tracks of each part at 3 different tempos plus parts for Bb Eb and concert treble clef. Practice alone or with others. There is nothing like this on the market. You can pay via either Paypal or a credit card. For more information about these duets, CLICK HERE. 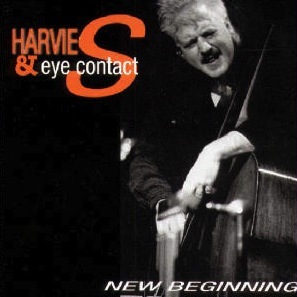 If you’re looking for Harvie’s CDs CLICK HERE. 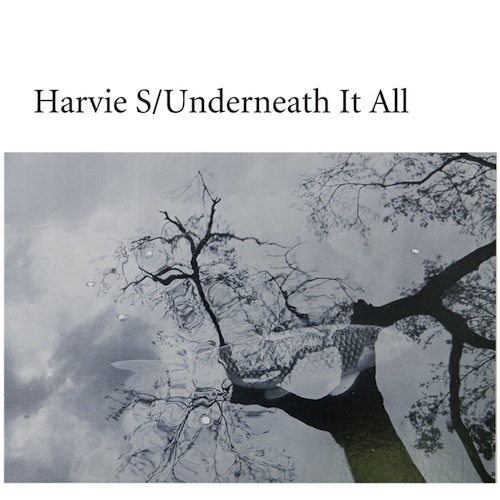 Download of ALL 10 of Harvie's Duets in the Know Thy Bass Series. 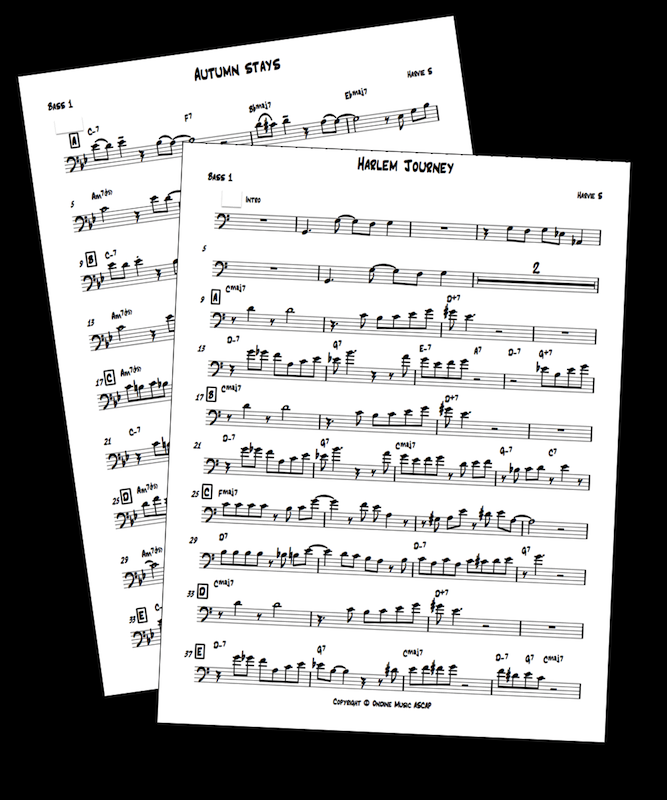 Download of the two newest duets: “Autumn Stays” and “Harlem Journey”. 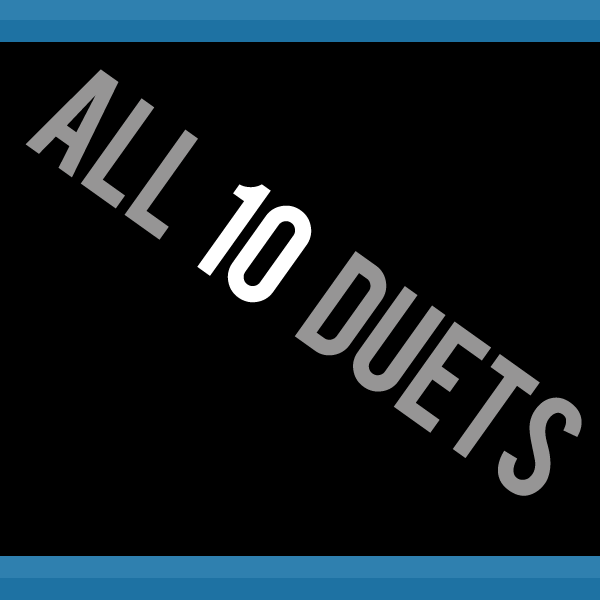 Intermediate level duets based on standard tunes. 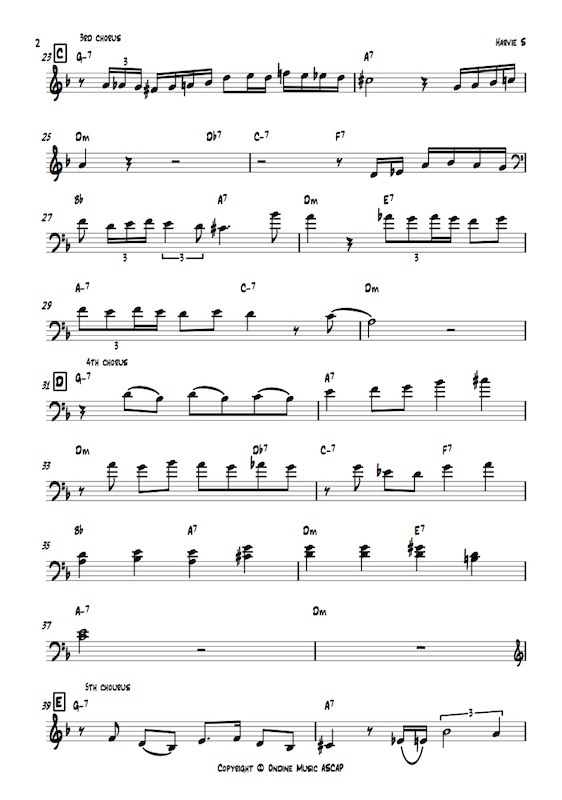 These two pieces are an excellent introduction to the entire set of duets, featuring lyrical solos and walking bass lines to prepare players for more challenges ahead. Basically a funky blues with some twists. This duet prominently features double stops, blues walking, and two part harmony. Based on a standard. The melody is played twice, but the “2 feel” bass line is different in each melody. Good solid walking bass lines, and a challenging solo. A study in 3/4 time based on a standard. 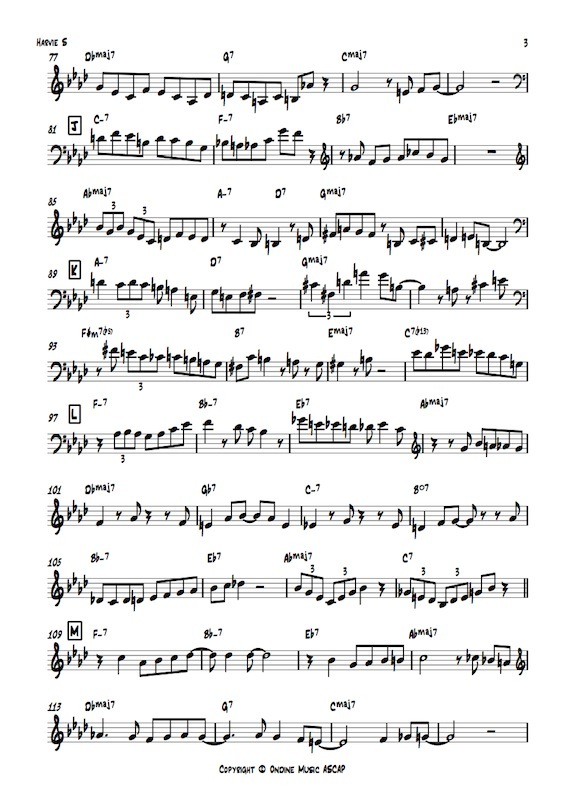 Extensive interplay between the two parts and solid bass lines in a tune that is lyrical and fun to play. 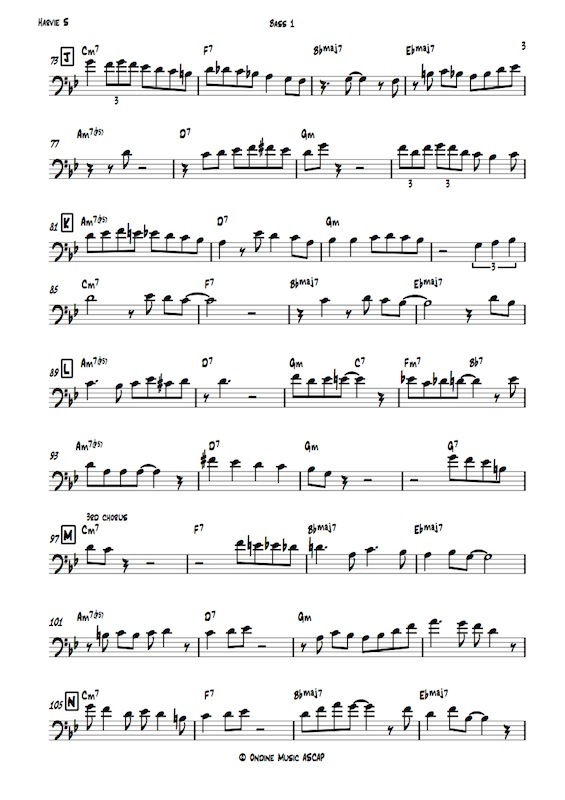 Based on Rhythm Changes. This duet is made to be played up tempo. 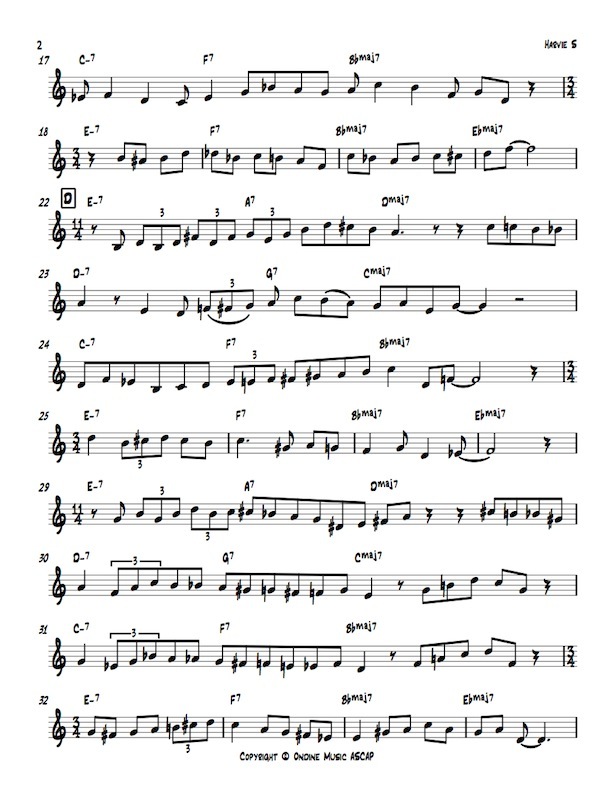 Many of the choruses are re-harmonized and at the end it becomes like a fugue. Very demanding! 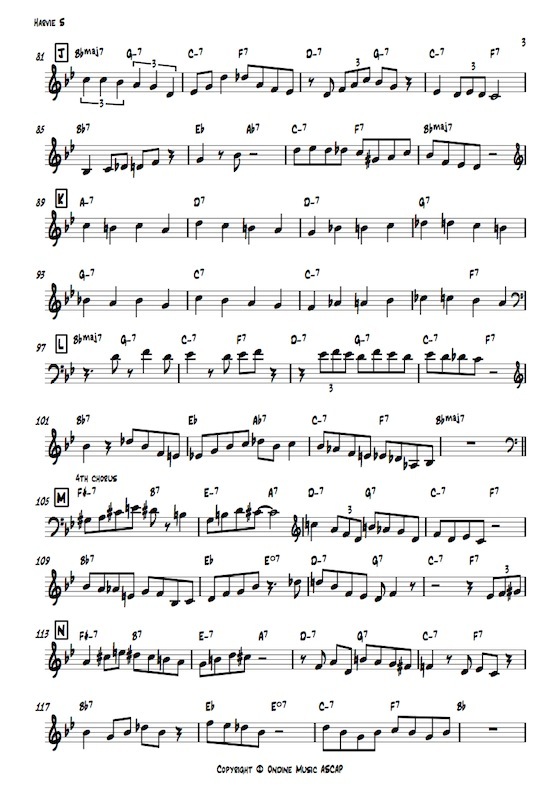 This is a ballad that sounds better the slower it is played. The top line can be bowed or plucked. 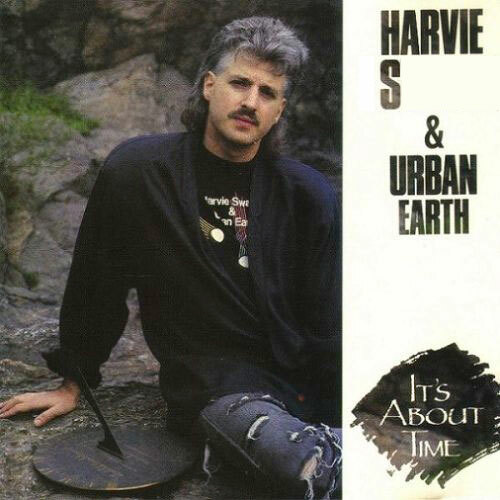 This is a study in phrasing, tone, time, and being lyrical. 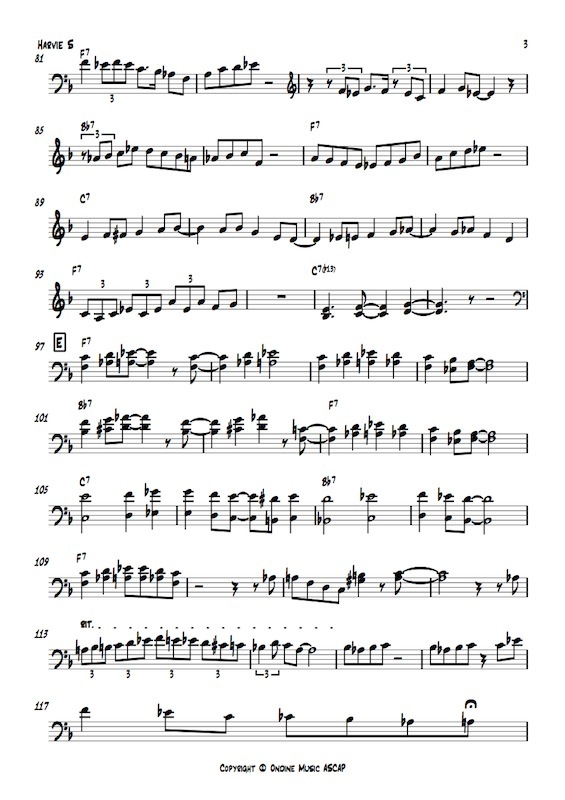 A real challenge - the duet is in 13/4 but written as 6/4 and 7/4 to make it more readable. 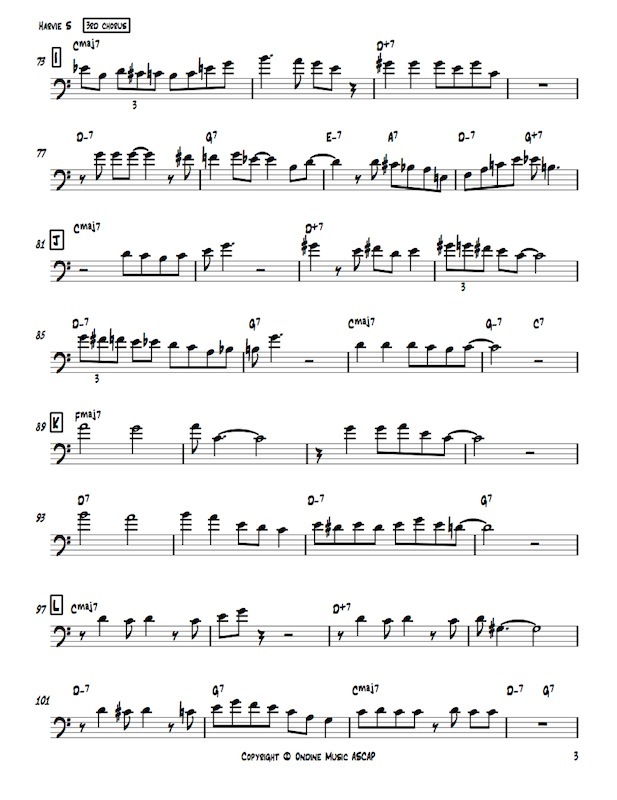 The top line is a technical and rhythmic challenge and the bottom is a study in “holding it down.” A crucial path to learning to play many time signatures. Based on “All The Things You Are,” this duet is a workout for Bass 1. Features a Latin section and plenty of melody. 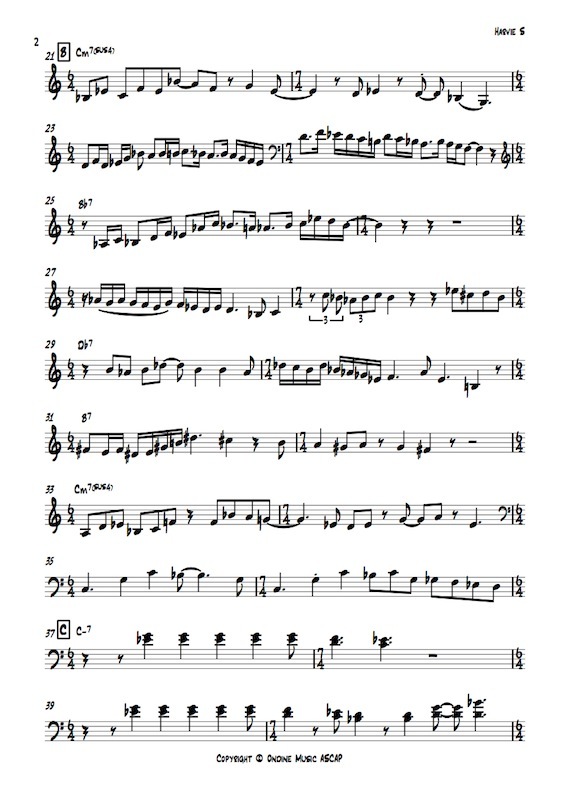 A duet in 11/4 with tricky cross-rhythms and a variety of styles in Bass 2. Intermediate level duet based on a standard tune. 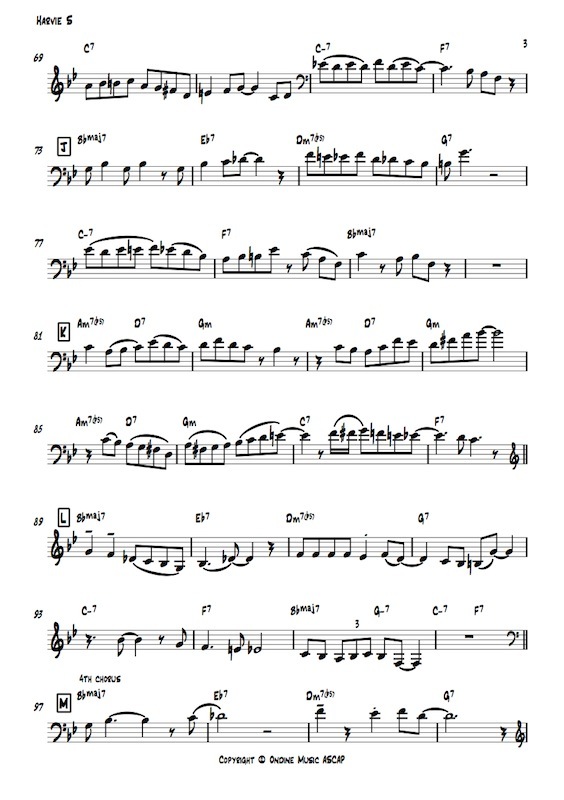 This duet is an excellent introduction to the entire set of duets, featuring lyrical solos and walking bass lines to prepare players for more challenges ahead.